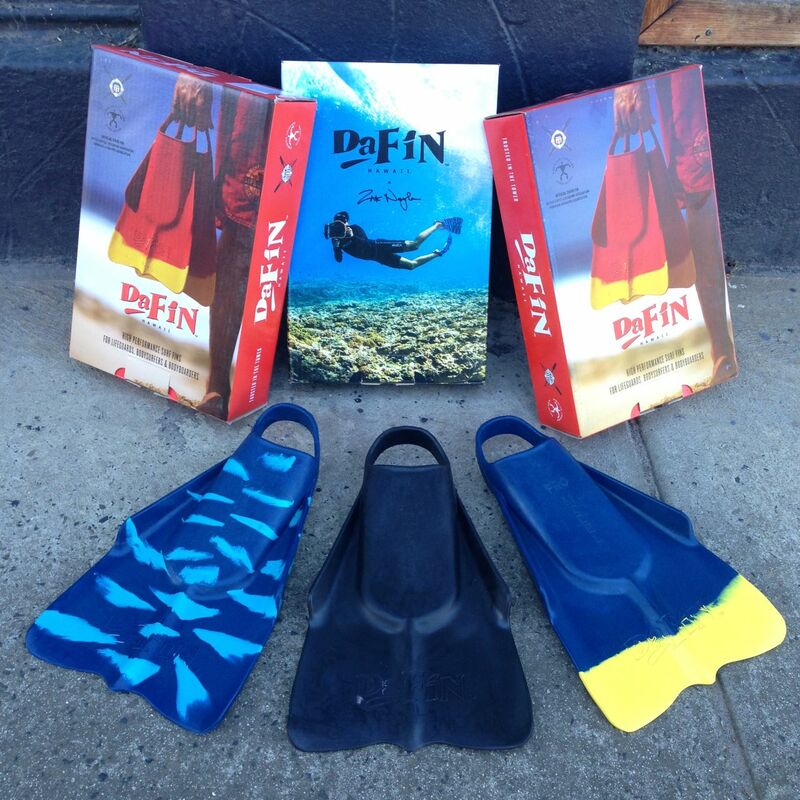 We have DaFin Swim Fins in store at Zak Surfboards! Developed in Hawaii by one of Australia’s early surfing pioneers Andy Cochran, DaFin have grown to become the swim/surf fin of choice of Watermen worldwide. Created with input from world renowned watermen Mark Cunningham and Brian Keaulana - the unique design of DaFin Swim Fins delivers the two most important features you want in your fins: comfort and power ...better than any other fin on the market. DaFin is the fin of choice for thousands of lifeguards and water safety professionals in worldwide. They are also standard issue equipment for the Hawaiian Lifeguard Association. DaFiN and has been endorsed as the ‘Official Swim Fin’ of the United States Lifesaving Association. DaFin have also garnered a strong reputation with the bodysurfing community - featured prominently in the critically acclaimed bodysurfing film ‘Come Hell or High Water’. Come Hell or High Water trailer from Torpedo People on Vimeo.